Think about this: would you rather read a long article about how something works, or would you rather watch a video which explains it in a fun and simple way? Not many people would choose the first option, and that is why websites like PowToon are gaining popularity on the internet. When you create a video at PowToon, you can export it to YouTube for easier access. These videos have the PowToon logo embedded, but you can easily remove it by paying a small fee. If you are worried about this being a complicated task, don’t be. You can achieve professional looking results in 20 minutes or fewer thanks to the ready-made templates and the drag and drop interface. If you need some help, there is a learning center available, as well as many tutorials which are easy to follow. Working with an animation studio could cost thousands of dollars; save your money and use this tool, you will be amazed at how affordable it is. But if you’d like to test some PowToon alternatives, here are some great websites like PowToon that are also very easy to use. So, you’ve never made an animated video before? Don’t worry, Wideo makes it a straightforward process. You can choose between starting from scratch or using one of the many pre-made templates. Company presentations, school projects, product demos, explainer videos and much more can be done with this tool. You can start with a free plan to get familiar with the interface, but a paid membership is recommended because it gives you access to downloads in HD, unbranded and longer videos, and more video templates. One of the best, this website should be your first visit. 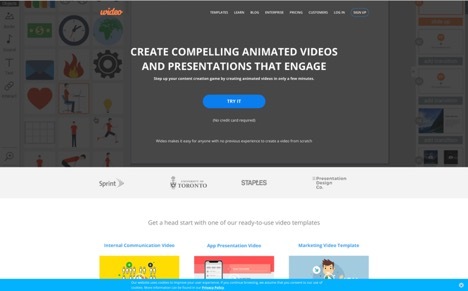 This PowToon alternative lets you create amazing 2D animations, whiteboard animations, and video infographics. There are thousands of pre-animated assets you can use through a drag & drop interface. You also have the option to upload your own and use any audio, image, or video files you might have. There is a trial period where you can test the site, but as in other websites like PowToon, you will have to pay if you want access to better features. 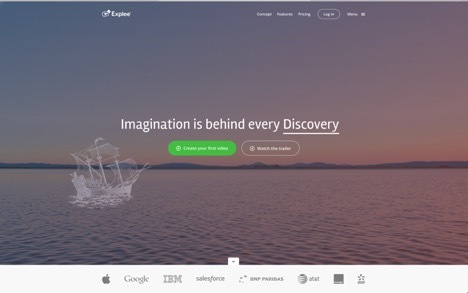 Explee’s goal is to make quick-and-easy animation accessible to everyone. One thing you should check out is their animated video technology that allows you to animate any picture, be it one provided by the site, or one you upload from your computer. You can sign up for a 14-day free trial with no credit card required if you’d like to give it a go. 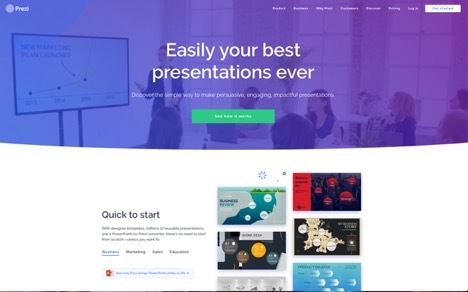 Most of the sites like PowToon are used to create video animations, but Prezi has evolved into a tool which is used as a replacement for PowerPoint. It can display presentations in a much more engaging, persuasive, and compelling way. There is a library full of presentations you can customize, but you can also build your own from scratch. If you are a student or a teacher you can receive a significant discount when subscribing to a paid membership. If building white-board style animations is what you need, few PowToon alternatives can compete with VideoScribe. No design or technical know-how is needed in order to produce high-definition videos, and you can use it with your Android or iPad device. A vast library of free soundtracks and images is available, and the videos can be exported to YouTube, Facebook, or PowerPoint. 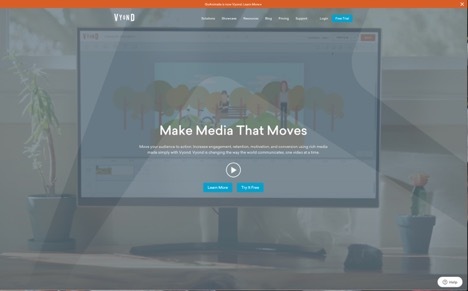 This website, similar to PowToon, lets you create video presentations, infographics, animated videos and related video content with a combination of animation and motion graphics. Its library has thousands of videos, images and sounds you can use, most of them in high-quality resolution. Use this site to captivate your students or to engage your employees in a fun and creative animations.